AAPI Pneumatic UK has a wide range of valve coils and connectors available for your application. All of our high-performance coils and connectors are designed to work in tandem with a specific corresponding valve type. Our technical team can help you find the correct coil and connector to meet your specific requirements. At API, we work tirelessly to accommodate the demands of your application – right down to the precise coil. Within our portfolio of products, we have five models of solenoid coils and two ATEX valve coils to choose from. 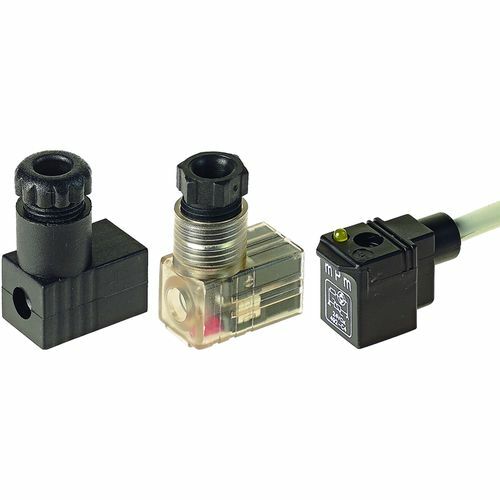 All of our coils are manufactured to IP65 standard when the connector is already mounted. The optimal temperature range for the standard coils is -20°C to +50°C. The five coil versions conform to multiple standards, including DIN 43650/A, EN 175301-803-A, form A, insulation class F and EN 60204.1 and VDE 0580 standards, class F.
For AC, API coils function in the voltage range of 12V to 230V, whereas for DC voltages you can choose from 12V or 24V. Type ASA34 series offers an alternative option to the others. For DC, only 24V is available and for AC, the voltage range is either 24V, 110V or 240V. ATEX coils are designed specifically for use in potentially explosive environments. As with our standard coils, our ATEX coils are manufactured for use with specific valves that are also capable of withstanding the pressures of hazardous environments. Our ATEX coils conform to the 2014/34/EU Directive Group II, category 2, Gas and Dust, Isolation class F.
Type ASA12/ ATEX II3 – For DC, select either 12V or 24V. AC, on the other hand, comes with 3 voltage options: 24V, 110V and 220V. The temperature range for this valve is -15°C to +50°C and it meets the IP65 standard when the connector is already mounted. Type ASA2/ATEX II2 – These 30mm ATEX coils are available in 24V and 110V for DC and 12V, 24V, 48V, 110V and 230V for AC. The type ASA2/ATEX II2 coil meets IP66 standards and doesn’t require a connector. 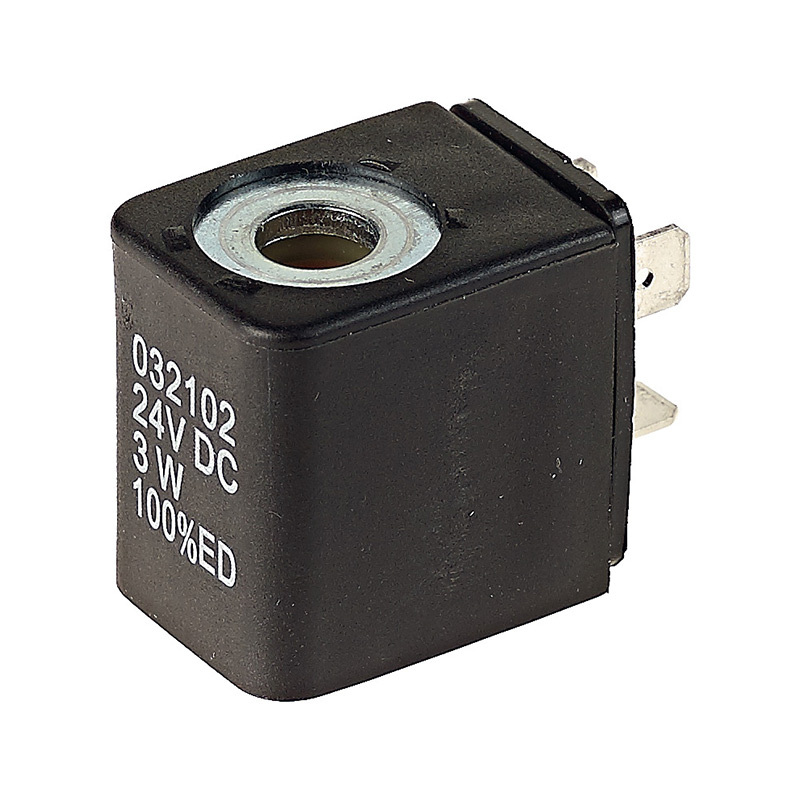 This series also has an extended temperature range of -50°C to +50°C. API Pneumatic UK has three models of valve connectors that conform to multiple standards. API manufactures DIN 43650/C connectors, DIN 43650 connectors and DIN 43650 connectors that also meet A/ISO 4400 standards. 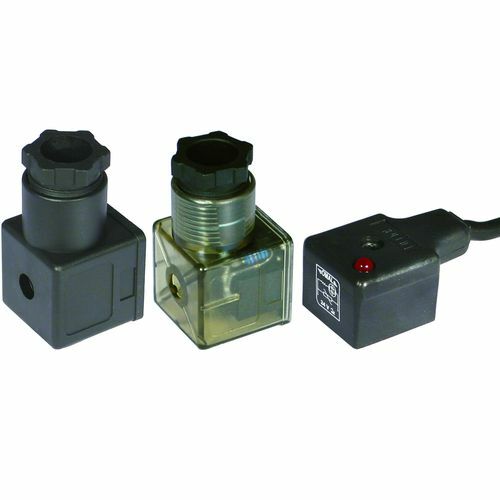 Each model also has three types of valve connectors to choose from: standard, transparent with circuit and moulding. API Pneumatic UK also has two IP65 rated ATEX valve connectors to choose from. The first is manufactured to meet the ATEX directive 2014/34/EU, class II, Category 2G – 2D. Whereas the other ATEX valve connector is designed to conform to ATEX directive 2014/34/EU, class II, Category 3GD. Both ATEX connectors are recommended for temperature ranges of -25°C to +90°C in potentially explosive environments. For individual technical information, please refer to the data sheet attached to each product. For more information about our valve accessories, contact API Pneumatic UK today. Call 01782 206 995 or email sales@apiuk.co.uk to speak to a member of our team.